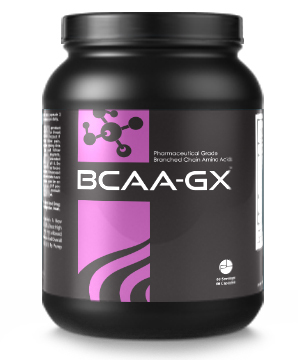 BCAA-GX is a branched chain amino acid powder with glutamine added. 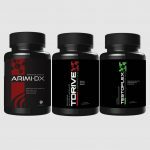 Pureline’s BCAA-GX is the three branched chained amino acids (leucine, isoleucine, and valine) in free form along with 1 gram of L-Glutamine, the most essential amino acid in the human body. 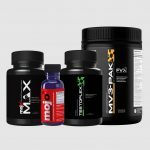 BCAA-GX should be used to help promote recovery after workouts as well as to promote increases in lean muscle tissue and strength. For individuals who are training intensely or are under extreme stress BCAA-GX offers an instant and convienient way to ensure amino acids flood the blood stream and reach muscle tissues fast! Our pharmaceutical grade powder mixes instantly in a glass of water and does not clump or settle to the bottom. BCAA-GX can be added to your whey protein shake and should be used every day. BCAA-GX comes in fruit punch and grape flavors. Because it is a 0 calorie formula and has no added sugar it can be used during any dieting phase. 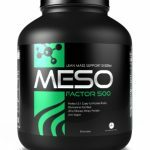 Suggested Use: 1 scoop mixed in your favorite beverage up to 3x per day.